Well done to all of the children from Year 3,4 and 5 who took part in the North Yorkshire School Games Tennis Event. Congratulations must go to all of our children for their behaviour and hard work. The children competed against Gillamoor, Airy Hill, Hawsker, Lythe, West Cliff and Seton. After some very close and high quality tennis Group A from the year 3 and 4 team came a close second, just missing out on the opportunity to get through to the next round. Congratulations to all involved. Thanks to Liam McKee from Team Rubicon for the amazing scooter training that he gave to Year 3, 4 and 5. All of the children were very excited and enjoyed the activity. 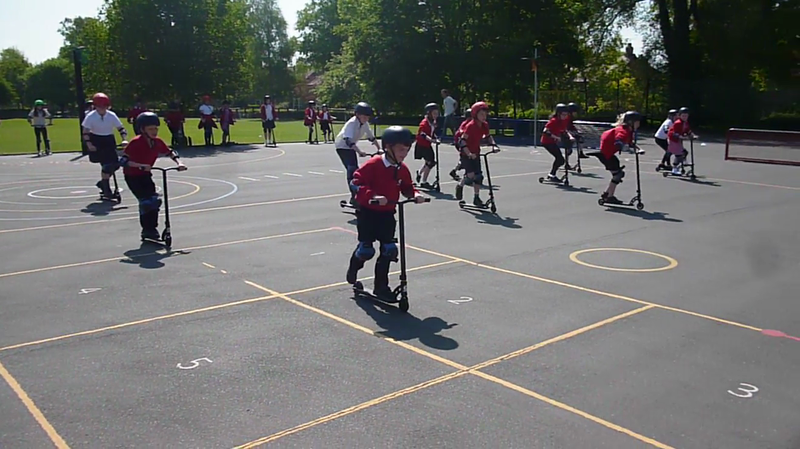 All of the children in year 3,4 and 5 received their scootability training on Thursday 24th May from a qualified skateboard and scooter trainer from Team Rubicon. The children had a brilliant time with a number of them heard to say “It was the best lesson ever!”. More information on these activities will follow next half term. As the marathon comes to an end we will also start to encourage children to come to school on their scooters as we have also purchased storage racks for the back of the school. 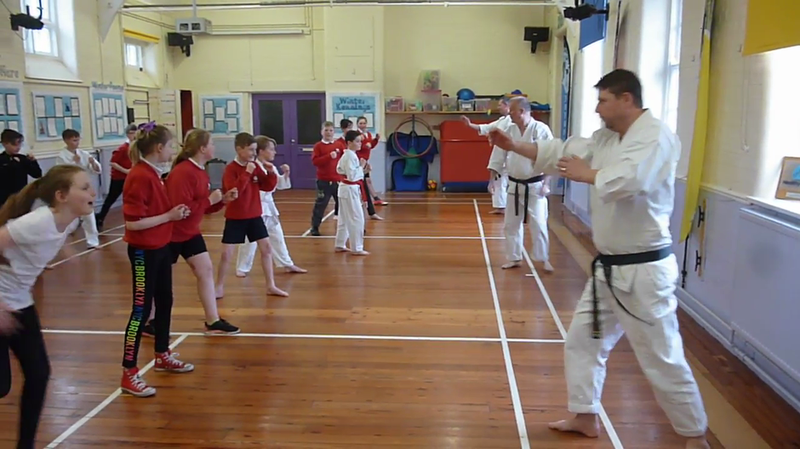 Today all children in year 4,5 and 6 had the chance to take part in an organised karate day. Sporting events outside of the school. Pickering Community Junior School has a proud record of supporting the children in our school to have a healthy lifestyle and a positive attitude towards sport. As a school we are constantly striving to provide our pupils with a broad range of sporting activities and increase their participation in competitive sporting opportunities. 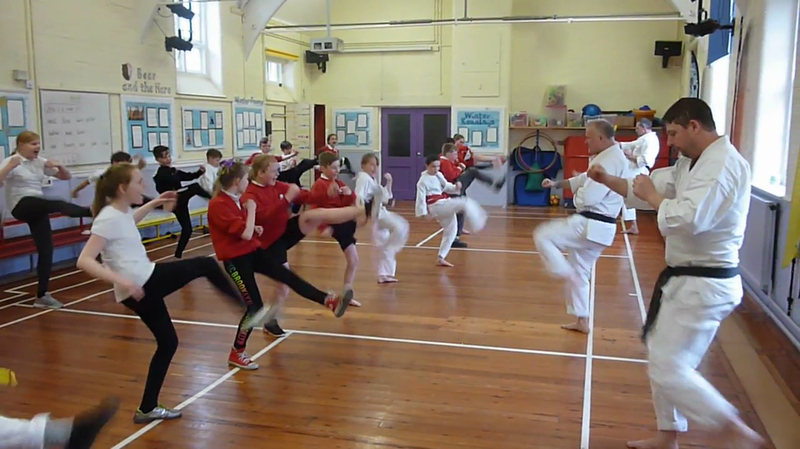 Over recent years children have been involved in a variety of sports including archery, pilates, t-choukball, judo, circus skills (coordination and balance), giant games, the haka and table tennis. As a school we always recognise children’s participation and involvement in sporting clubs and competitive events. It has recently come to our attention that we also have a hidden wealth of sporting talent that happens outside of school that we want to nurture, support and celebrate. Recently I’ve given awards for show jumping, dancing, involvement in an ice hockey club and seen amazing pictures of children involved in motor cross and trails bike riding events. Parents, please help school to celebrate these amazing sporting superstars by sending in information to school which we can add to our information below. Many of the children below have won the end of term award for sporting talent even though they practice their skills away from the school grounds. Three boys from Pickering Community Junior School played for their under 8’s team Brooklyn Lions in a tournament at the home of Middlesbrough FC, The Riverside Stadium, on Tuesday 22nd May. They had an amazing time living the life of a pro footballer for the evening. They had a tour of the home and away changing rooms, sat in the dugouts, walked out of the players tunnel to the Champions League music and waved to the crowd. They won all of their group games. 1-0, 2-0 and 2-1 with a child in year 3 scoring the winning goal to reach the final. They then went on to win the final 2-0 too!! They all played so well and everyone is so proud of them. Well done boys! More pictures of the football stars.